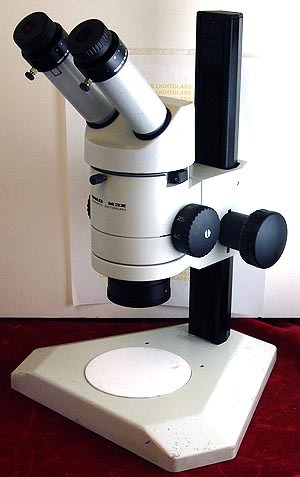 This Leica/Wild M3Z Stereo Microscope has been serviced by a qualified microscope tech and meets factory specs. It has its Wild 10X, high eyepoint widefield eyepieces and a 1.0X bottom objective. In my opinion, the M-Series by Leica is the best stereomicroscope available. I like Zeiss as well, but have never had a Leica optical element delaminate. The M-Series is the microscope you want if you spend a lot of time looking through the eyepieces, want the brightest, flattest field and highest resolution. Built for demanding users, the Wild/Leica M-series is built to last.